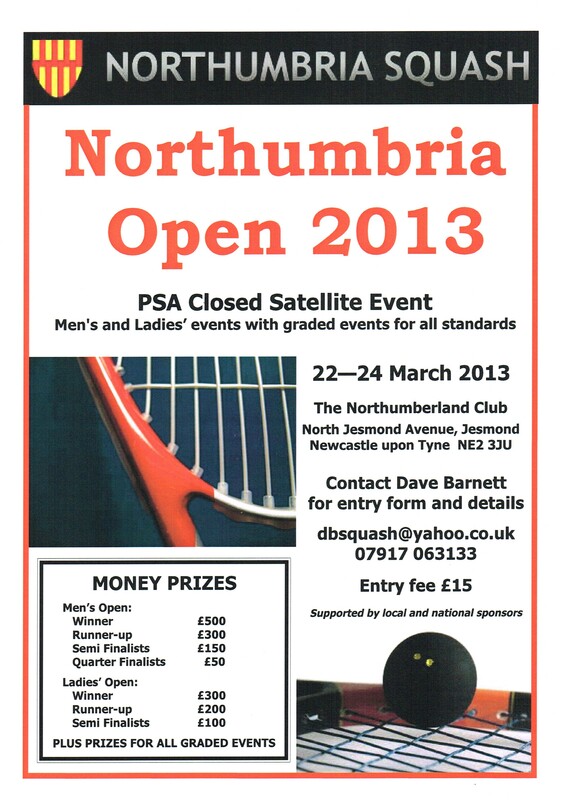 The Northumberland Club was the host to the counties second senior Northumbria Open. 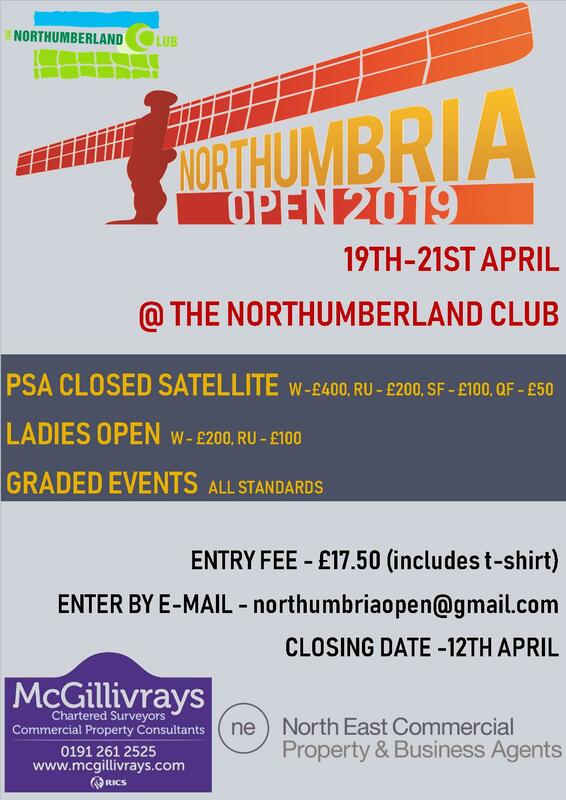 With £2000 worth of prize money the event attracted a strong field led by last years winner and World number 54 Shaun Le Roux. 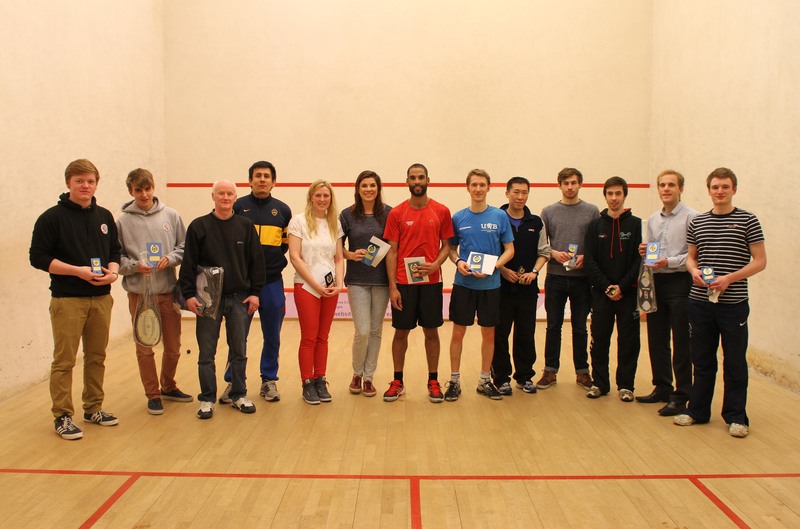 The top 4 seeds proved to be too strong for the rest of the field all coasting to the semi-finals sweeping aside top local players with Dave Barnett and Paul Lord losing at the quarter-final stage. 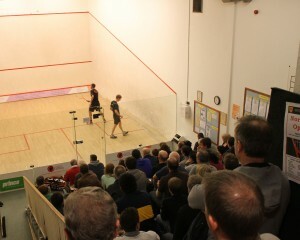 The top seed played Joel Hinds in the semi-final which was a repeat of last years final. The result was the same however with a 3-0 win taking le Roux to the final. 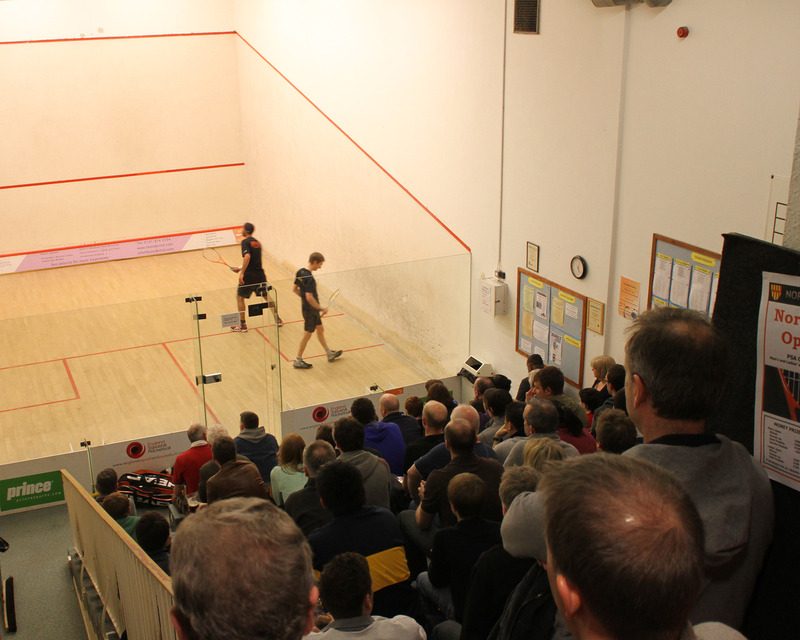 The other half was also a 3-0 win this time for the second seeded Chris Ryder beating Lewis Walters to set up the expected final. The final was a classic, although the start from Le Roux suggested he would steam roll his way through winning the first quite comfortably Ryder hit back well starting to twist and turn Le Roux and seemingly frustrating him as he gained the momentum and took a 2-1 lead with Le Roux starting to look unsettled and a beaten man. However there was a further swing and Le Roux upped the pace and won the 4th easily and then led 10-6 match ball and looked to have the title in the bag, Ryder dug in and despite Le Roux having chances to win the match Ryder held it together to pinch the title 13-11 in the fifth! The Ladies event was a battle between the best of the locals with Sam Ward and Emma Barnett getting through to the final. Barnett had played very well to reach the final and put in a strong performance in the final often controlling rallies but Ward always looked the fitter and was moving extremely well and came out the winner in three tight games. 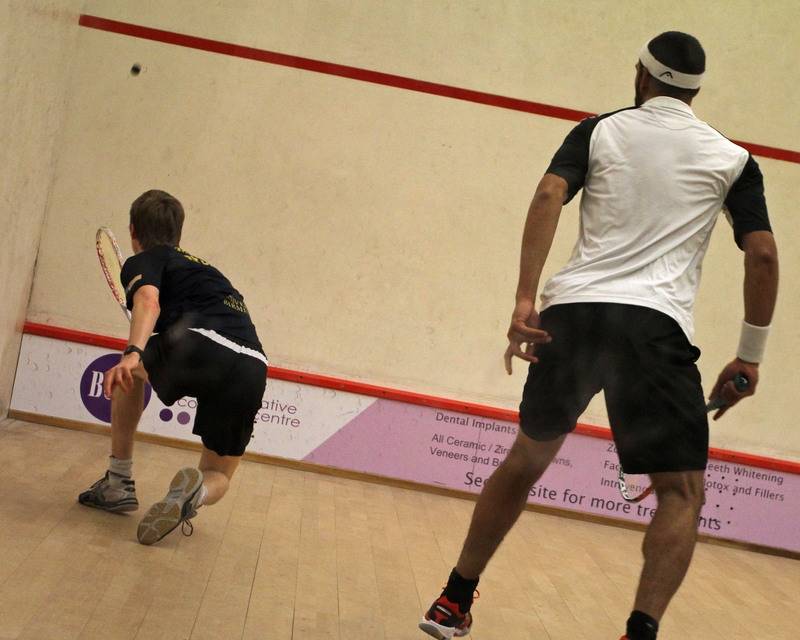 The ‘B’ event was won by James Thompson from Manchester, after losing out in the plate final last year Thompson was much improved and sailed through to the final where he beat local high flying junior Jamie Todd. 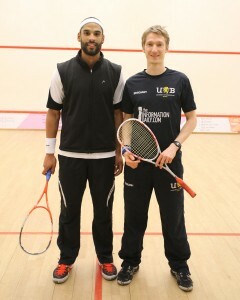 Thompson didn’t get unnerved by Todd’s amazing reteval abilities and calmly out played the youngster to take the win. The ‘C’ event was a win for the youngster, Sam Birch-Machin played O55 county player Alan Coates and in the end the younger legs out ran the older ones and Birch-Machin took the trophy home. 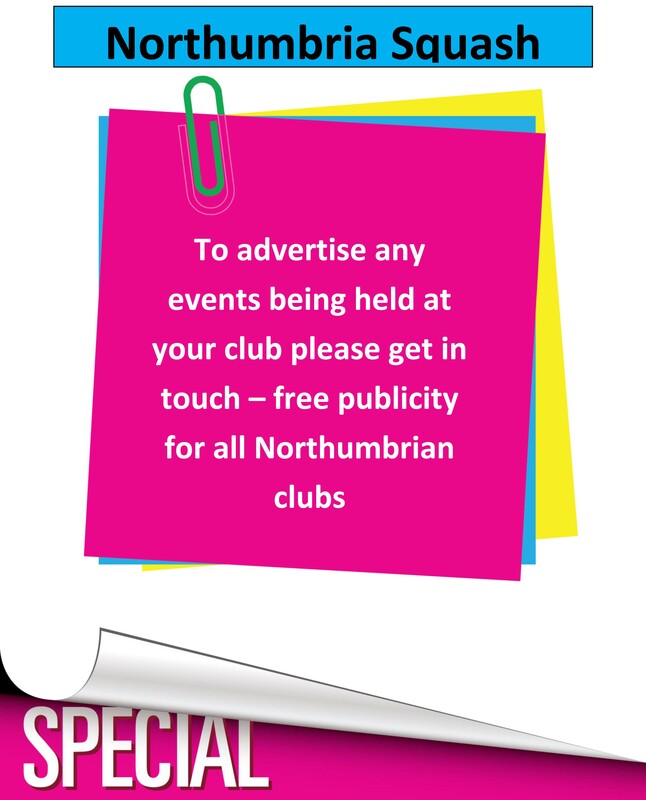 Great event, a big thankyou to all the sponsors who made it possible.